iMobie Inc. announces unlimited giveaway of PhoneClean for Mac and AnyTrans for Mac on the end of the Apple Macintosh's 30th birthday celebration. It's exciting news for Mac lovers to get the best iOS cleanup tool and iPhone transfer tool for free. On the end of the Apple Macintosh's 30th birthday celebration, iMobie Inc. today announced unlimited giveaway of its exclusive products, PhoneClean for Mac and AnyTrans for Mac. With millions of Mac lovers, iMobie witnessed the growth of Mac over the past 30 years and it wants to celebrate this big day with all Mac users, thus giving away unlimited PhoneClean and AnyTrans until Feb. 24th. 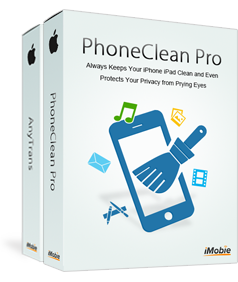 PhoneClean for Mac gives an all-around and risk-free iOS cleaning and optimization solution to all Apple iDevices, including iPhone 5s, iPad 2, iPod and all the iDevices ever made. Integrated with 20+ analyzing technologies, PhoneClean help eliminates 30+ types of Junk file, like temp, cache, cookies, off-line, etc, thus to reclaim 40%-60% free storage space. It also protects users' private data from leaking via complete deletion of SMS, iMessage, MMS as well as associated pictures audios and videos. 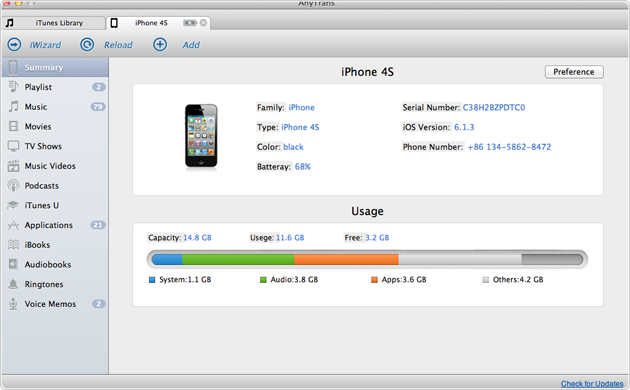 AnyTrans for Mac is the first transfer tool to help people manage their iPhone, iPad and iPod better. It allows people to transfer music, movies, apps and any other type of entertainment file directly between all Apple devices. AnyTrans is regarded as the best iTunes alternative which achieves files transfer from computer to iDevices and vice versa with few clicks. "Both PhoneClean and AnyTrans are indispensable tools for Apple products users. With these two powerful utilities, people could easily make their Apple life easier and better. And that's exactly what our work matters," continued Frank. According to iMobie, the celebration giveaway of PhoneClean for and AnyTrans for Mac will run until Feb. 24th, 2014. The prize number is unlimited and the participation method is quite easy. Just go to this page (https://www.paywithatweet.com/pay/?id=025979ddd7d1c259410e965934a3383a). iMobie Inc. was established at the end of 2011, and located in Tianfu Software Park (China), a place gathered great many talented software engineers. The brand name iMobie is from I'M Optimistic, Brave, Independent & Efficient, which represents the main characters of their teammates. On the early stage of iMobie, they focus on developing iPhone, iPod, and iPad maintenance and file transfer software for making iOS uses' mobile digital life easier. For more information, please visit https://www.imobie.com/.